Elections will be held April 2 - 16th. 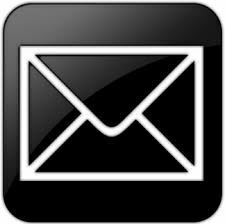 Look for a voting email on April 2nd. Ensuring that all students receive a high-quality mathematics education is my passion. This passion guides my professional decision-making, experiences, and vision, and, more importantly, it is why I would be an excellent candidate for the position of President-Elect. My current position at CESA 8 allows me to work extensively with K - 12 math teachers, interventionists, special education teachers, and administrators. Facilitating workshops and network meetings, conducting instructional coaching, participating in lesson studies, guiding school improvement plans, and working with DPI are just a few of my responsibilities. All of these experiences have broadened and deepened my understanding of K - 12 mathematics in Wisconsin and have added to my over 21 years of high school math teaching experience. Being on the Wisconsin Mathematics Council Board of Directors (Grades 9 - 12 Representative) for the past 2.5 years, volunteering and presenting at the Mathematical Proficiency for Every Student conference and the annual conference, and being the chairperson and a presenter for the Rural Professional Development Committee are ways that I have been actively involved in the Wisconsin Mathematics Council. My leadership experiences also include being a CPM Teacher Leader, a mathematics consultant, district math specialist, Wisconsin Core Mathematics Initiative Teacher Leader, math department leader, and a Total Board of Education president (St. Anthony School). My educational background includes a Master of Education (The College of St. Scholastica) and Bachelor of Arts (St. Norbert College). I was on the board back in the 90's (before I had kids) and took a hiatus. I believe strongly in the work of the WMC and the impact it can have on the state math education. I would like to become active on the board again to help the organization continue to move forward. I was the secretary for the Greendale VFW Auxiliary for 10 years and have recently stepped down to allow for more room in my schedule to participate in something like this. I believe my experience, my energy and my drive can be assets to the board. 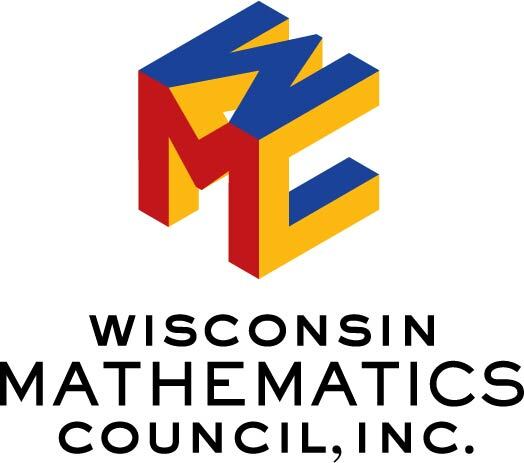 I am a long-time member of the Wisconsin Mathematics Council, and have served on the Board of Directors for the last three years and am seeking re-election to be the 3-5 Representative for another term. I am also a member of the Executive Committee for WMC. I have attended the WMC Annual Conference every year since 2003, and I have had the privilege to be a speaker and a volunteer for most years since then. I have been fortunate enough to attend the MPES Conference and to be a breakout session speaker at that event as well. In 2014, I attended and co-presented at NCTM’s Annual Meeting in New Orleans. Through these experiences, I have met many people that are as dedicated to improving their teaching practices as I am. In the summer of 2012, I attended my first Wisconsin Statewide Mathematics Initiative (WSMI) Institute, a program offered by the Mathematics Institute of Wisconsin. I was a participant/facilitator for the Institute for six years (2012 – 2017). I have also been a participant in the WSMI Fellows course (2016 and 2017). I am a Common Core Advocate and attended the Core Advocate Convening in Denver (2016-2018). This year, I am a member of a committee guided by DPI that is working on an Instructional Practice Guide for Equitable Teaching and Learning in Mathematics. These professional development opportunities have broadened my network of people to go to for guidance, advice, and support. I earned my Bachelor’s Degree from Silver Lake College with a double major in Elementary Education (1-6) and Special Education/Learning Disabilities (K-8). I received my Master’s Degree in Educational Leadership from Marian University. I have completed the two-year Math Intervention Certificate Program through UW-Oshkosh. In 2014 and 2018, I was selected as a Wisconsin finalist for the Presidential Award for Excellence in Mathematics and Science Teaching. I am in my twentieth year of teaching, all of which have been at Reedsville Elementary/Middle School. I currently teach fifth and sixth grade math. I have served as the Math Leader for the district since 2012. As part of that role, I provide monthly professional development for the PreK-12 staff, lead book studies, and serve as a resource for staff to turn to when looking for ideas, resources, or other materials. All of the above experiences have guided me as I continually strive to learn more about the teaching of mathematics. I consider myself extremely lucky to have been able to be a part of so many wonderful professional development opportunities throughout my years. I am ready to support, and be a voice for, other teachers throughout the state as they look for ways to improve student learning. I would like to live out the WMC mission, “…to lead in the development and promotion of quality mathematics education that enhances learning for all students. I am interested in seeking a position with Wisconsin Math Council Board of Directors to broaden the scope of my work and enhance my personal and professional learning around math education and equity. I believe that I will be an incredible asset to WMC through my past 8 years of experience in math education. For the first seven years, I served in the role of classroom math teacher with the opportunity to co-teach with both special education and ESL teachers. In addition to my years in the classroom, I had the opportunity to go through an instructional transformation from traditional lecture to an inquiry-based approach. Following this, I served in the capacity of Geometry PLC leader (4 years), Teaching Learning and Equity Council/Math Department Chair (2 years), and Social Justice Committee Facilitator (1 year) all at Sun Prairie High School. In 2017, I earned my Master’s in Educational Leadership and Policy Analysis through UW-Madison where my passion for equity surfaced. This lead to my current roles in district as summer school principal (elementary) and 4K-12 Math Coordinator. Through Sun Prairie Area School District, I have been trained in AVID, CPM, Carnegie, Bridges, and student-centered coaching. I have also attended and/or presented at WMC’s Annual Conference since 2010. In addition to working with SPASD, I have taught math through UW-Madison’s PEOPLE program and served as a College Preparatory Mathematics Teacher Leader, facilitating workshops and coaching teachers around the state. The result of this work has lead me to think about math identity and status in the classroom. I want to build upon this and know that networking, collaboration and communication will lead to more student success in Wisconsin. My goal in serving as in the administrator/supervisor positions is to: 1. Enhance my learning around equity, specifically in math education, 2. Use my expertise and myriad of experiences for the continued progress of mathematical education in Wisconsin, and 3. Develop my math education network further for all math educators in the state. I believe that school districts need to collaborate versus compete and through intrinsic motivation and accountability to others, we can grow as a whole in the state of Wisconsin to better serve ALL students. My passion is for all students to have access to high quality mathematics learning with high expectations in environments in which educators believe and commit to successful and challenging learning for every student. Educators need training, coaching, and resources in order to support every student with challenging mathematics learning. I have been an administrator for over 20 years, and taught mathematics, Spanish, and computer science for 7 years. I have a bachelor's degree in mathematics, computer science, Spanish, and education. I have 2 masters degrees and a doctorate, along with certifications in principalship, director of curriculum and instruction, and superintendency. My dissertation research focused on professional learning with elementary teachers to develop deeper conceptual understanding in mathematics so they can help students learn and engage in mathematics more deeply. I have been facilitating professional learning in mathematics, leadership, and learning for several years locally, statewide, and nationally. As WMC Administrative Representative, I can continue to support administrators in understanding mathematics learning and resources, as well as professional learning and leadership necessary for every student to experience success in learning challenging mathematics. I have been an ex-officio member of WMC board; Effective Leaders, Effective Educators designer and facilitator; facilitator of WMC Annual Conference Administrator strand; and NCTM MARC committee member. Hello! My name is Sagar Tolani and I’m a high school math teacher at Wisconsin Conservatory of Lifelong Learning in Milwaukee. This is my third year teaching and I have to say I absolutely love it. Working with inner city underprivileged kids and seeing their successes everyday in the classroom gives me joy. I came to teaching from getting a Bachelors and Masters in Chemistry with a minor in Math. I spent several years after my Masters trying to figure what I wanted to do and I kept thinking back to my time working as a Teaching Assistant and Adjunct Faculty and how much I enjoyed teaching. So in 2016 I decided to pursue teaching and I haven’t turned back since. After I started teaching, I decided I wanted to be fully involved in the professional organization for my subject area and came to know about the WI Math Council and attended my first conference in May 2017. It got me so energized to go back and rework my lesson plans and improve myself as a teacher using all the strategies I had just learned. The following year I became involved in the conference planning committee and am now running for this executive board position to make sure we can continue to make WMC into the best professional organization for Math teachers in Wisconsin and get them as energized and excited about teaching Math as I was after my first conference. In my teaching position, I have had the opportunity to change from a traditional to a standards based curriculum; transforming from a sage on the stage to a guide on the side. This included the opportunity to field-test the second edition of a standards based curriculum. Another unique opportunity I have had was serving on the DPI Wisconsin Mathematics Leadership team that analyzed the Wisconsin Model Academic Standards and the Common Core State Standards. I have chaired the WMC Issues and Positions committee that has crafted nine new position statements. My students have had the opportunity to have a National Board Certified Teacher and a state finalist for the Presidential Awards for Excellence in Mathematics and Science Teaching as their math teacher. I am addicted to professional development and invest the majority of my summer facilitating or participating in such events as WSMI, Core Plus, and WASDI over the years here in Wisconsin and across the country. With a computer science certification, I thrive on integrating technology in my classroom and have returned to teaching computer programming. I have had an opportunity to serve as a mentor for College Board AP Comp Sci Principles and Mobile CSP teachers. Within my district, I have served on a K-12 math committee that orchestrated the development of a K-12 standards based curriculum. And have encouraged the “across grade levels” discussions that develop a professional learning community. The election results will be announced at the May 2, 2019 Annual Meeting during the Annual Conference.